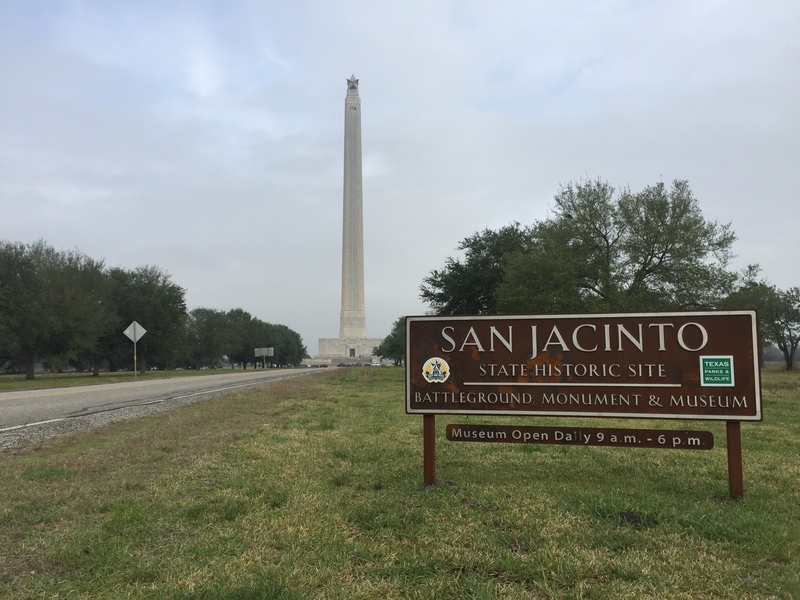 The San Jacinto Battleground State Historic Site preserves the history of the most important event in Texas history — our independence from Mexico. On April 21, 1836, an outnumbered Texian Army defeated the forces of Mexican General Antonio López de Santa Anna on the plains of San Jacinto. With shouts of “Remember the Alamo” and “Remember Goliad,” the Texian Army secured their decisive victory in only 18 minutes! 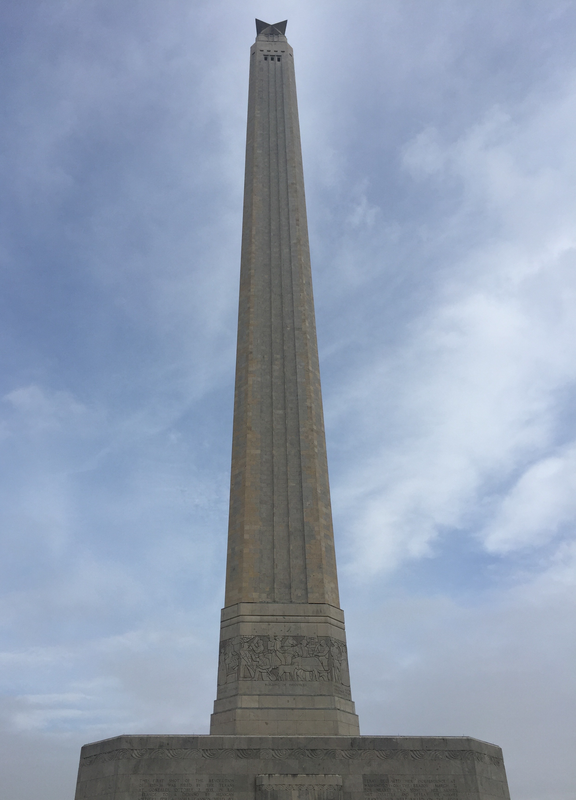 The San Jacinto Monument, built for the battle’s centennial in 1936, honors all those who fought for Texas independence. Rising 570 feet above the surrounding plains, the Monument is the world’s tallest war memorial, standing 15 feet taller than the Washington Monument in Washington DC. A massive 220-ton Lone Star adorns the top of the towering column. Housed within the base of the Monument is the impressive San Jacinto Museum of History. 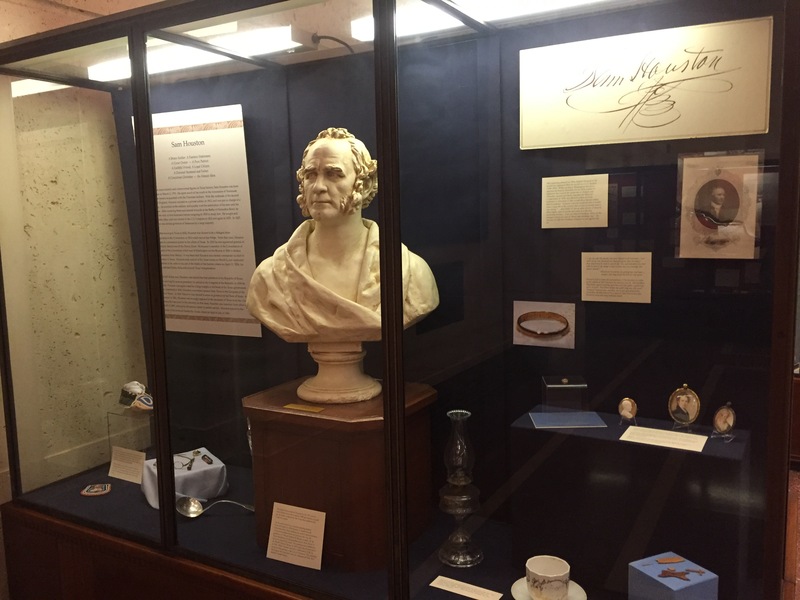 This must-see museum houses thousands of objects and manuscripts that span 400 years of history. The Jesse H. Jones Theatre, also housed in the base of the Monument, features a short video on Texas history. I especially enjoyed the 500-foot elevator ride to the observation deck that sits beneath the Lone Star of Texas at the top of the Monument. 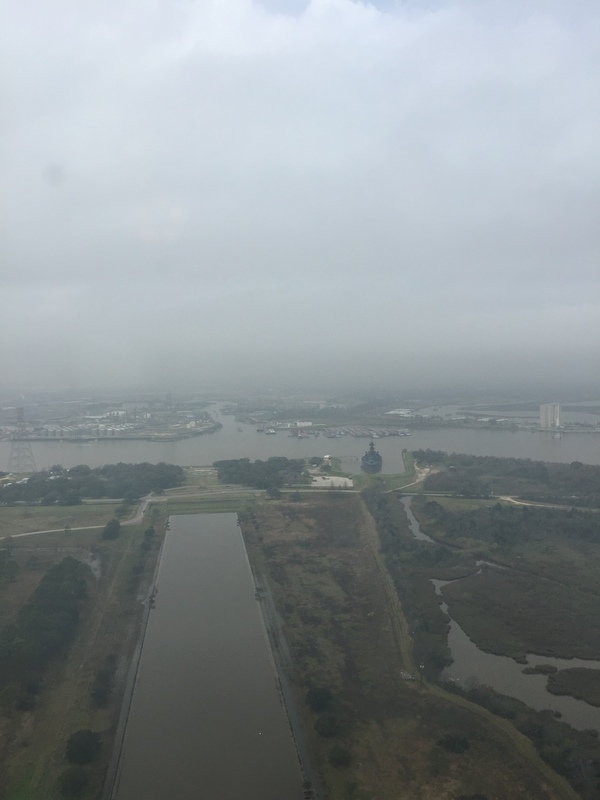 The observation deck offers great views of the surrounding area as well as of Battleship Texas. Information panels at each window help to orient and inform you about the surrounding vistas. This historic site is sacred ground in Texas — and rightly so. The Texas Veterans Association and the Sons and Daughters of the Republic of Texas helped to raise the money to purchase the land and to build the Monument. Prominent Houstonian Jesse H. Jones, who served as President Roosevelt’s Secretary of Commerce, also aided in the development of the historic site. 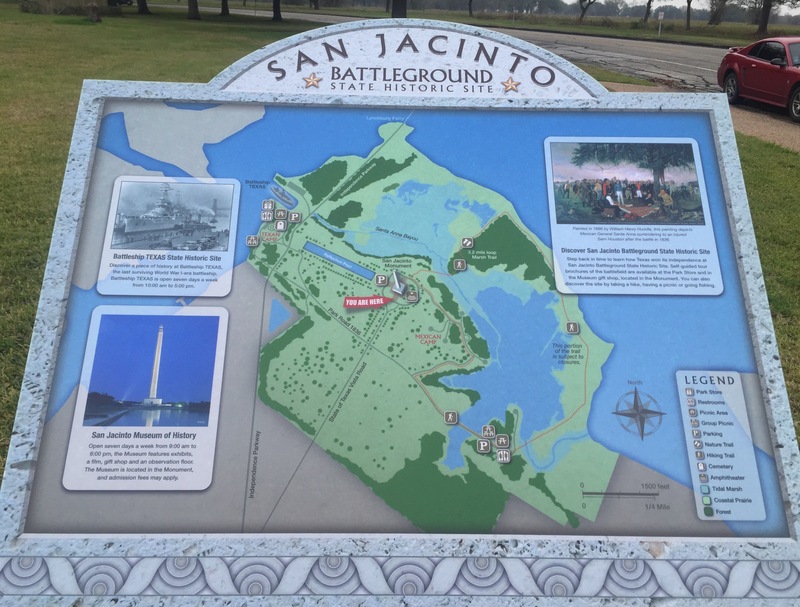 The San Jacinto Battleground State Historic Site is located in La Porte, just a short drive from Houston. The Monument and Museum are open daily (except for Thanksgiving, Christmas Eve, and Christmas Day) from 9:00 AM to 6:00 PM. The museum is free to all visitors but there is a modest charge to see the movie and to ride the elevator to the observation floor. When you visit, plan also to tour Battleship Texas, located just a minute or two by car from the Monument. Please take a moment to read A Tale of Two Monuments by Glen Moyer. This entry was posted in Texas History and tagged Battle of San Jacinto, San Jacinto Monument, San Jacinto State Historic Site, War Memorial. Bookmark the permalink.